Cheryl dazzles in multicoloured Missoni ensemble | HELLO! It was all eyes on Cheryl as she stepped out in London on Monday night. The pint-sized pop star sported a multicoloured Missoni outfit that flattered her slim frame. The 33-year-old topped off the look with glossy curls, her signature look. However, she seems to have darkened her locks slightly, opting for a deeper brunette tone. Cheryl was attending her former X Factor boss Simon Cowell's Syco Summer party at swanky Lancaster House. There was no sign of the Girls Aloud singer's new boyfriend, Liam Payne. But the pair's relationship has been going from strength to strength, and they recently welcomed an adorable new addition. Fight for this Love hitmaker took to Instagram to reveal that she has adopted a cute puppy, sending her 2.5 million followers into a meltdown when she shared a snap of Liam with her new pet. 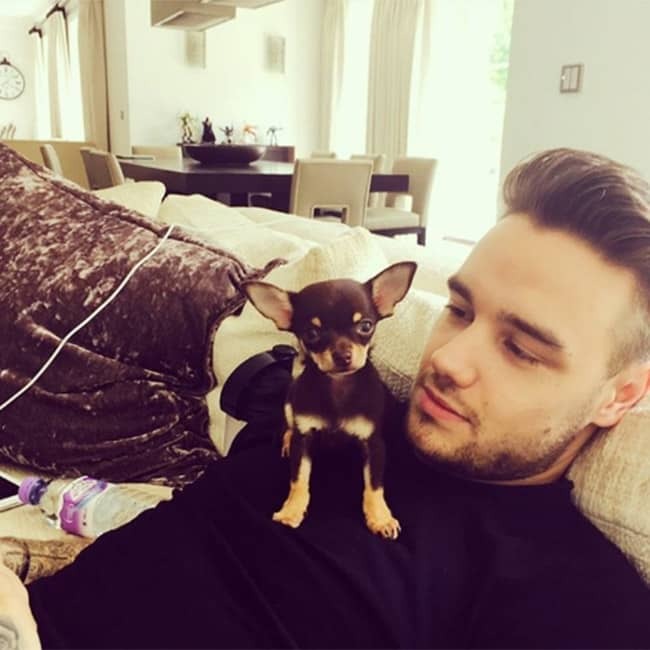 "Our new family member he is beyond cute.. the dog is adorable too," she quipped in the caption alongside a snap of the former One Direction singer lounging on the sofa while the dog sits happily on his chest. "@too smallforteacups thank you." It comes as no surprise that Liam joined Cheryl to celebrate the arrival of her puppy – the happy pair have been inseparable since they made their red carpet debut as a couple at the Global Gift Gala in Paris. Cheryl and Liam first went public with their relationship in February, after being spotted enjoying romantic date nights together. Close friend and music mogul Simon Cowell spoke candidly about their romance, revealing that they are "madly in love". "I saw them together and we had a really nice dinner. They were on good form," he told The Sun, admitting he had no clue they were dating before the news broke. "They're like two little chipmunks madly in love. Literally they were so cute."